Sylvester is an education technology entrepreneur. He is the author of the best selling, “The Young Entrepreneur’s Guide to Success 2.0," and founder of the edtech product, “The $50 Startup Program.” Sylvester is a cofounder of the Education Entrepreneur incubator at, UMSL where he helps develop and advise education tech companies that receive early stage investment from Mastercard. Sylvester Chisom has been recognized as one of Ebony Magazine’s Top Young Entrepreneur’s. At the young age of 17, Sylvester with his best friend, cofounded his first startup Showroom Shine with only a water hose, a bucket, and a dream. He has since grown his company to have multiple locations and to be winners of the Steve Harvey Neighborhood Awards 4years in a row for best detail shop in the nation. Sylvester has earned a reputation as a leading authority on motivating people to success through the application of the entrepreneurial mindset. His books and his online $50 Startup program are being used in school districts and colleges across the country. Sylvester keeps a busy schedule as a keynote speaker and consulting with organizations, companies, and schools. 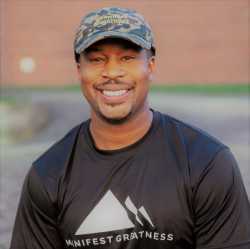 He has been featured in The Wall Street Journal, INC Magazine, The Washington Times, The Huffington Post, The Steve Harvey Morning Show, and more. Sylvester's inspiring personal stories and helpful strategies have reached more than a million aspiring entrepreneurs and counting.